Change the way you engage with strategy. A comprehensive strategy execution solution. Only 33% of organizations will reach their strategic goals this year. Successful companies know execution takes dedication and discipline, and they use OGSM to make it happen. 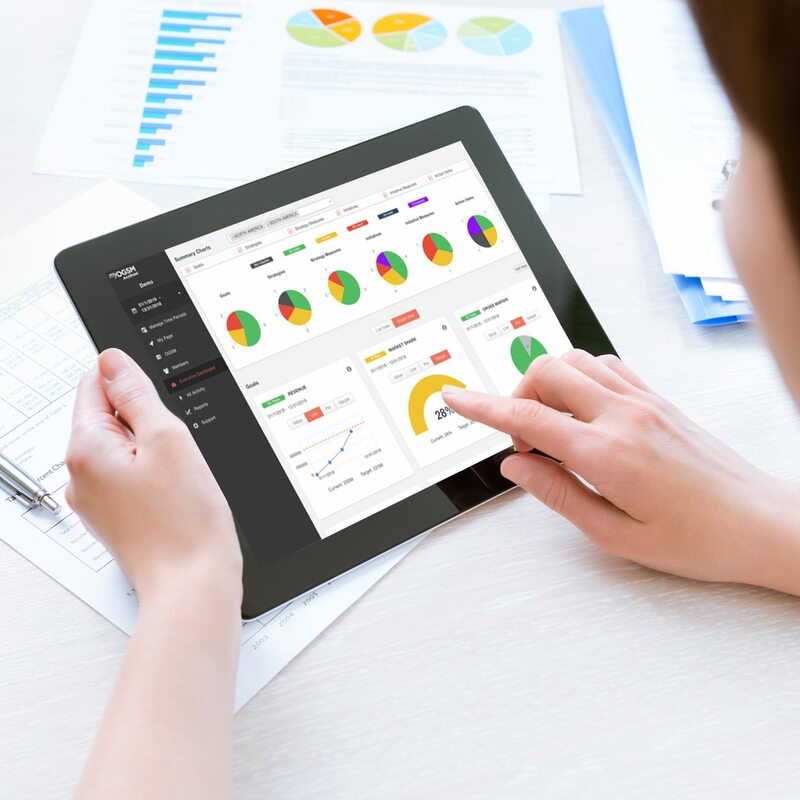 Learn more about how to effectively execute your strategic plan using myOGSM. 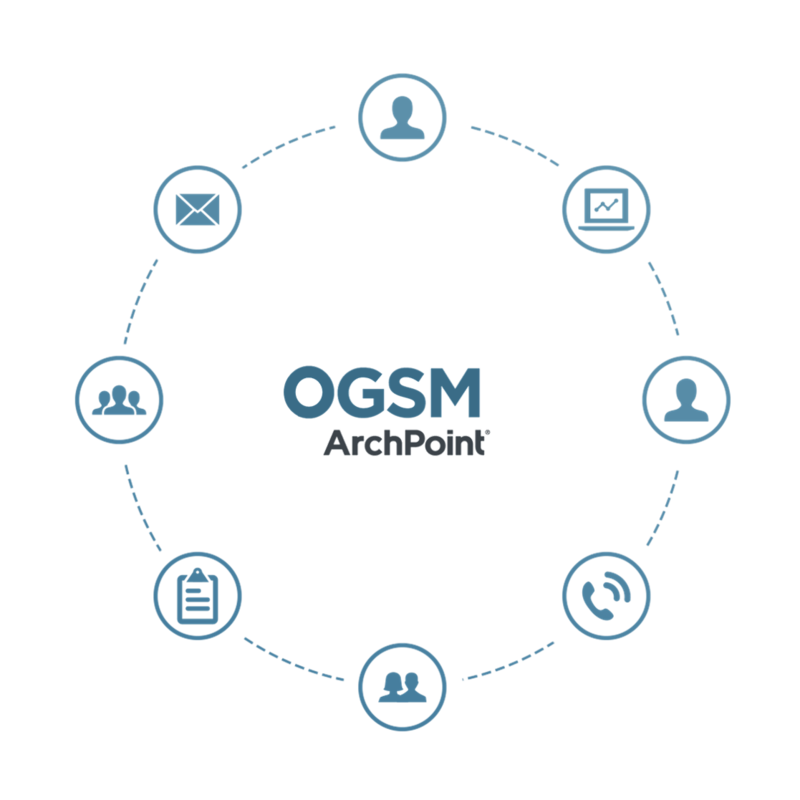 OGSM by ArchPoint drives the successful execution of your company’s strategy with a proven approach to align objectives, goals, strategies and measures across the entire organization. 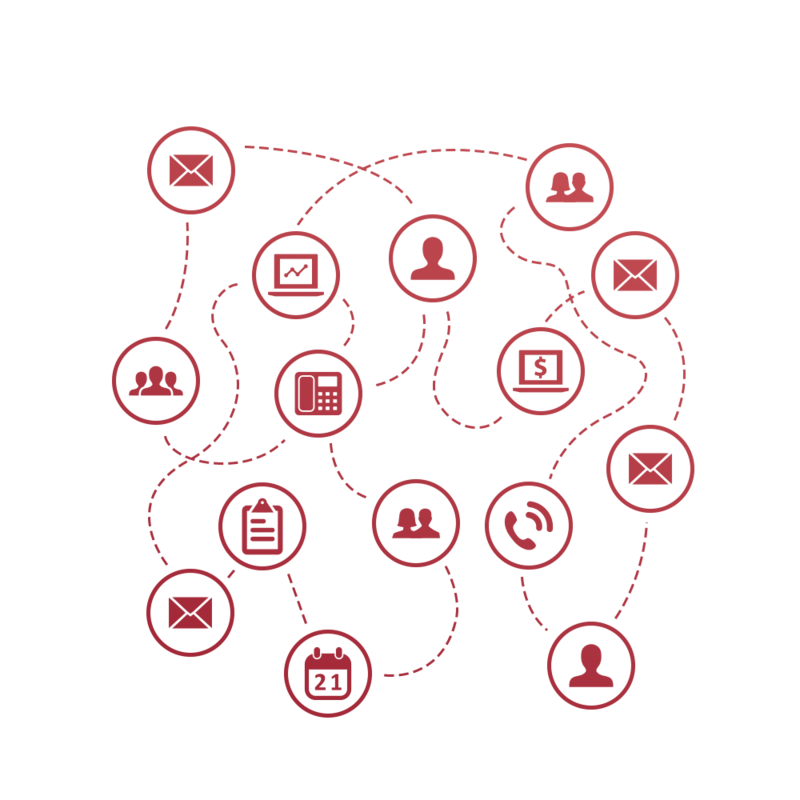 How complex and disconnected are the activities, documents and workflows you use to manage strategy? 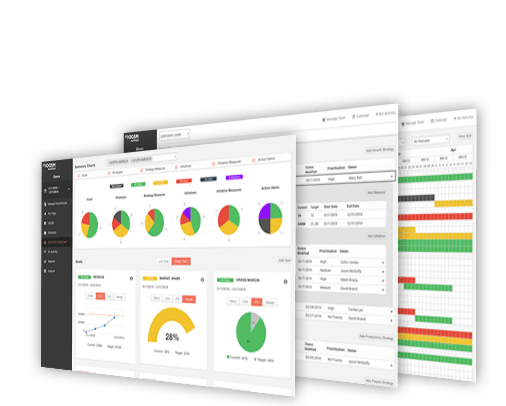 Why not simplify with one framework that allows you to easily communicate, track and manage strategy? The hardest part about strategy is execution. Experience has shown us that execution undoubtedly is the hardest part of accomplishing strategic objectives. That’s why we developed myOGSM, to support OGSM implementation and execution. 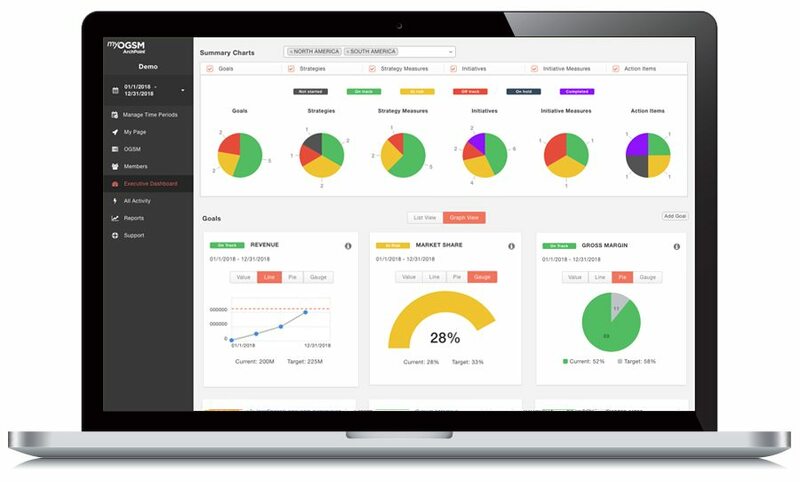 myOGSM is a web-based application that automates the management and tracking of an organization’s strategy. Companies who adopt myOGSM are able to more efficiently align teams, optimize resources and enhance execution. It’s about helping people and organizations achieve a desired future. 5% of the work force, on average, understands their company’s strategy. 25% of managers have incentives that are linked to the successful execution of strategy. 60% of organizations fail to link budgets to strategy. OGSM is a clear framework for developing, aligning and deploying strategy. Where are we going? Direction-setting statement. Learn more about objective statements. What must we accomplish financially? Financial and operational performance goals. Learn more about setting goals. How will we prioritize our choices? Choices made to achieve our objectives and goals. How do we measure success? Quantitative figures used to track progress on each strategy. We know making strategy stick is more than words on paper or an online tool. Our team is here to help you develop and execute strategy with guidance on a management routine, how to get the most from the OGSM framework, and how to support the change needed to successfully execute strategic plans. Learn more about why strategy breaks down. As hard as a good strategy is to develop, executing is even harder. MyOGSM helps organizations visualize the big picture, build the strategy execution roadmap and communicate progress with ease, giving leaders the information needed to effectively manage and execute. Learn more about how strategy automation enhances strategic execution.